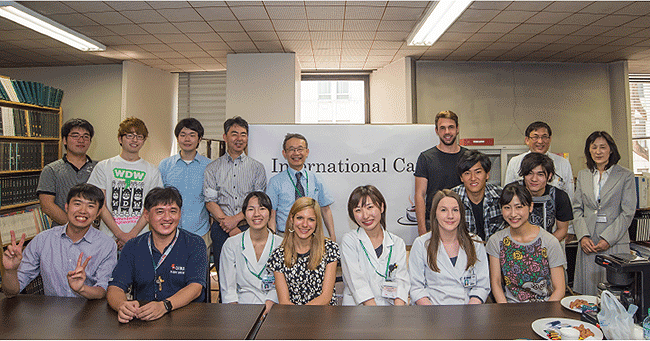 Centre for International Affairs, The Jikei University School of Medicine. We updated overseas,Students participated in the past. We updated a part of Medical Elective Program. There was a page change on the member introduction and it was updated and posted. We updated Application Process of Medical Elective Program. We updated some pages of Medical Elective Program. Posted an article by exchange student of School of Nursing. Medical Elective Programme,Immunisation Form updated and posted. The member introduction page was updated. We updated overseas partner school introduction to FY 2017. 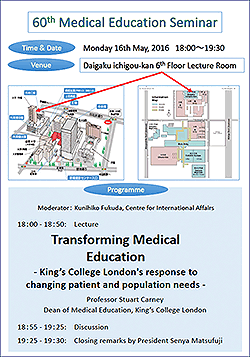 For the purpose of exchanges with overseas medical students and university students who are doing the training at the university, it has been held at the library on Monday lunch time every week. Anyone you can participate freely. Only coffee we will prepare. Please bring your own lunch.